Mike Velings is the Founder and Managing Partner at Aqua-Spark. A lifelong entrepreneur, Mike has spent decades jumpstarting a range of successful businesses. Among other ventures, he co-founded Connexie, which has helped catalyze a professional employment industry across the Netherlands. Mike naturally combines his business background with environmental and social engagement. He’s concerned for the planet and its inhabitants, and understands the potential for business to create durable solutions to complex world problems. With this in mind, Mike founded A-Spark Good Ventures: an investment company that assists entrepreneurs across the globe in realizing their visions of a start-up with a world-changing element. A-Spark invests in a broad range of ventures – from US-based software companies to international organic food manufacturers to India-based transportation systems. Each of A-Spark’s investments are both commercially successful and good for the planet, the population, and future generations. Not unlike A-Spark itself, each has a spirited, passionate, and innovative entrepreneur at its helm. 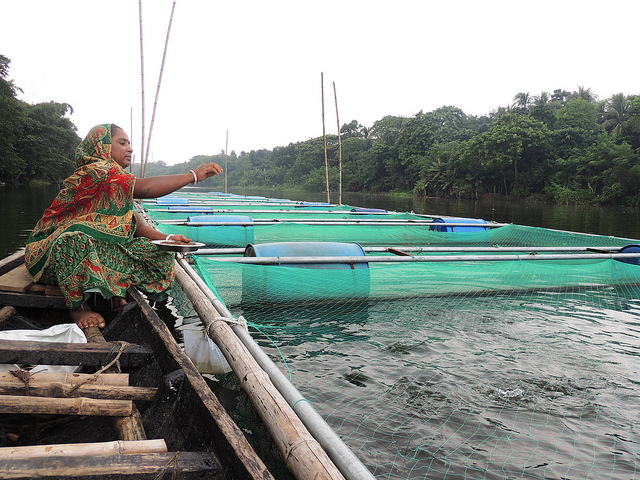 Mike Velings, founder and managing partner of Aquaspark, guest blogs about social-impact investing in small-scale aquaculture. In August 2010, I attended a lecture by Stephen Hall on aquaculture in Chicago. To say the least, I expected the room of environmentalists to be uninspired given aquaculture’s subpar reputation.